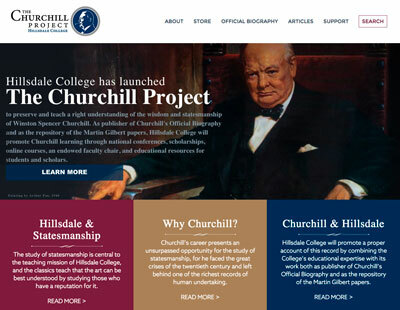 …was Win­ston Churchill’s pro­tec­tion offi­cer and detec­tive, on and off between 1921 and 1945. 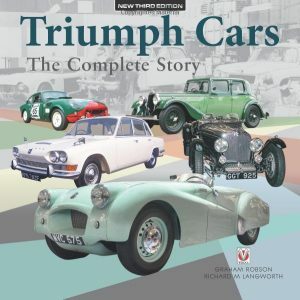 They had many adven­tures togeth­er, and Thomp­son wrote four books about his expe­ri­ences. The first, Guard from the Yard (1938, now very rare) involved Churchill and oth­ers whom Thomp­son pro­tect­ed. In 2005, Six­ty Min­utes was recent­ly repub­lished as Beside the Bull­dog. 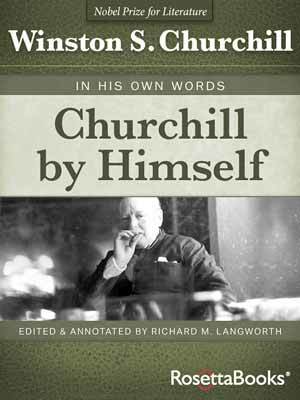 Simul­ta­ne­ous­ly there appeared Churchill’s Body­guard: The Autho­rised Biog­ra­phy, which inter­spers­es some new mate­r­i­al with a large num­ber of fac­tu­al errors. The ear­li­er works are pure Thomp­son and there­fore worth seek­ing out. 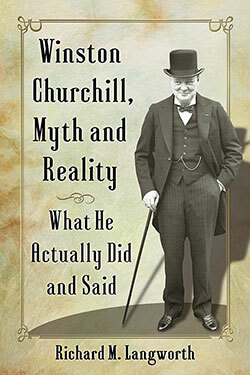 Thompson’s first Churchill assign­ment was the statesman’s Cairo Con­fer­ence of 1921. Around the same time he was sec­ond­ed to Churchill dur­ing nego­ti­a­tion of the Irish Treaty. When Churchill set out on a North Amer­i­can lec­ture tour in Decem­ber 1931, Thomp­son was again assigned. The detec­tive was rest­ing after twen­ty-six-hours’ duty on Decem­ber 13th, when Churchill was struck and near­ly killed by a car on Fifth Avenue. Thomp­son always regret­ted that he had not been present, and per­haps able to pre­vent the acci­dent. Wal­ter Thompson’s tall, angu­lar fea­tures are fre­quent­ly seen on Churchill pho­tos dur­ing World War II. From 1939, when recalled to guard duty, he was rarely absent on the Prime Minister’s trav­els. Along the way, he acci­den­tal­ly shot him­self while clean­ing a weapon, and lost son in the RAF. He did how­ev­er romance and lat­er mar­ry Mary Shear­burn, one of the PM’s sec­re­taries. I approached this pro­duc­tion with doubt. The Autho­rised Biog­ra­phy con­tained so many howlers that I feared they would reap­pear in the video. But the episodes avoid this—and any hind­sight mor­al­iz­ing, thought so nec­es­sary by pro­duc­ers today. It is, in the main, straight report­ing from Thompson’s mem­oirs. Though I dis­liked Thompson’s steady ref­er­ences to the boss as “Win­ston,” I found no seri­ous errors. Please advise if the episodes I didn’t watch con­tain some awful clanger! The series does spec­u­late in places. One such involves the actor Leslie Howard, “Ash­ley Wilkes” in one of Churchill’s favorite films, Gone with the Wind. The sto­ry goes that Howard and his bodyguard—shot down by the Luft­waffe in the belief they were Churchill and Thompson—were inten­tion­al decoys. This is of course non­sense. 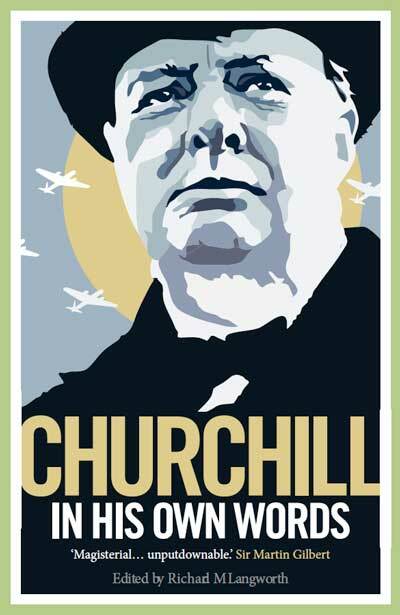 The great strength of Churchill’s Body­guard is its visu­als. Some pho­tos aren’t chrono­log­i­cal­ly accu­rate, but most are lit­tle-known and fas­ci­nat­ing. The pro­duc­ers clev­er­ly applied the right pos­es to go with the dia­logue, pre­sent­ing what is almost a motion pic­ture. The syn­opses sug­gest that Thomp­son saved Churchill’s life in every episode. But I have no doubt that many poten­tial threats did pre­oc­cu­py him. And to his cred­it, he dis­re­gard­ed no pos­si­bil­i­ty. Intro­duc­tions. Here we learn how two very dif­fer­ent char­ac­ters met, and how Thomp­son, born in the East End, saves his boss from an IRA assas­si­na­tion attempt. Ten years ear­li­er, they had both been present, unknow­ing­ly, at the Siege of Sid­ney Street. Mid­dle East, 1921. Wal­ter Thomp­son gets the chal­lenge of keep­ing his boss alive dur­ing a vis­it to the Mid­dle East. A lead­ing British politi­cian is the nat­ur­al tar­get for assas­sins, and on sev­er­al crit­i­cal occa­sions, Thomp­son is helped by the enig­mat­ic Lawrence of Ara­bia. The 1920s; trav­els in the New World 1929-32. Churchill buys cars and a house. In 1929 ceas­es to be Chan­cel­lor of the Exche­quer and Thompson’s duties end. With­in two years, Churchill’s out­spo­ken views gain him new and dead­ly ene­mies, and Thomp­son is recalled. North Amer­i­can Lec­ture Tour 1932. Thomp­son keeps Churchill safe dur­ing his lec­ture tour, but then leaves the police force. It seems that Churchill’s career is over, too. But a sin­is­ter new force is ris­ing which sees him as an implaca­ble ene­my. Threats to his life bring the two men togeth­er again. From Wilder­ness to War 1932-40. Despite being out of office, Churchill’s ene­mies prove dan­ger­ous. With war immi­nent, French Intel­li­gence hears of a Ger­man assas­si­na­tion plot. Thomp­son returns from retire­ment. 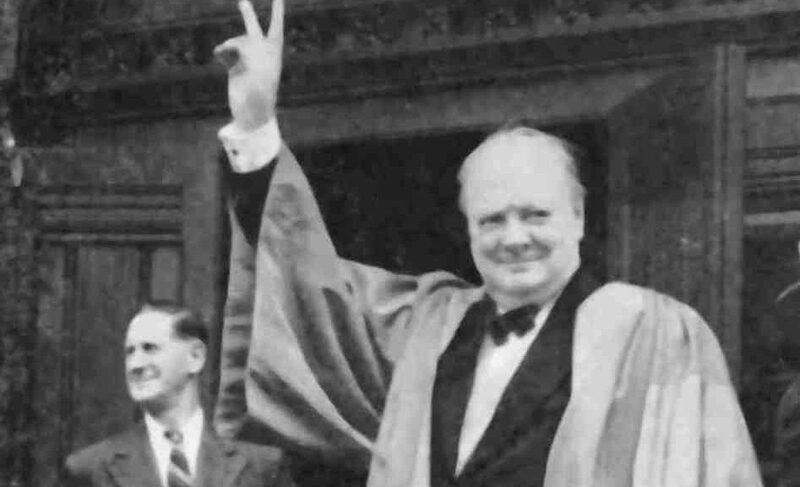 Britain goes to war in Sep­tem­ber 1939, and Churchill is back at the Admi­ral­ty. Dan­ger­ous Trav­els and the Fall of France 1940. Sent to the Admi­ral­ty in Sep­tem­ber 1939, Churchill becomes Prime Min­is­ter on 10 May 1940, as Hitler invades the Low Coun­tries. He embarks on a cam­paign of per­son­al diplo­ma­cy, with trav­els includ­ing six trips to France. To Thompson’s con­cern, they are often with­in range of Luft­waffe fight­ers. Sur­viv­ing the Blitz, 1940-41. The ear­ly days of the war prove dif­fi­cult and dan­ger­ous. The Luft­waffe bombs Lon­don. The Prime Min­is­ter walks the streets among the peo­ple, watch­es air raids from rooftops, and vis­its anti-air­craft bat­ter­ies. Often only Thomp­son is with him. Meet­ings with FDR, 1941-42. Run­ning a gaunt­let of U-boats in the North Atlantic, Churchill sets out for meet­ings with Pres­i­dent Franklin Roo­sevelt. On one return jour­ney, as the PM pre­pares to board a fly­ing boat for the trip home, a gun­man lurks near­by. Turn­ing Point, 1942-43. A pre­car­i­ous trip to Moscow to vis­it Stal­in is fol­lowed by vic­to­ry for the Eighth Army in North Africa. 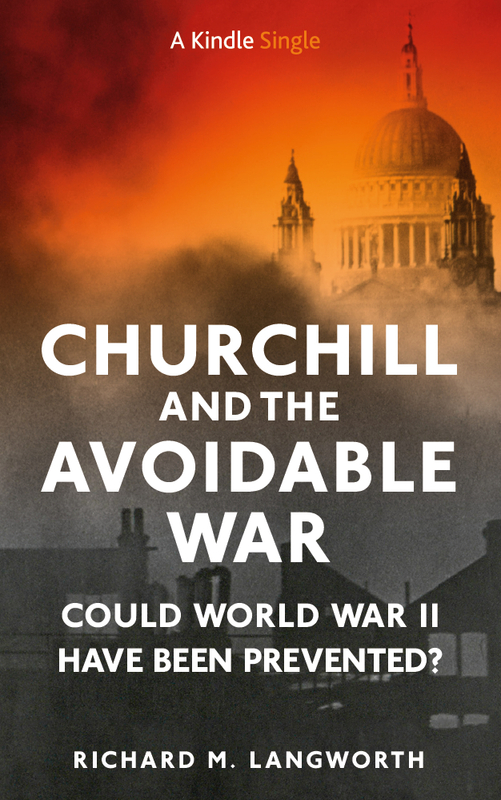 Aware that Churchill is trav­el­ing, the Ger­mans at least twice try to shoot down his plane. Teheran, 1943. After two Atlantic cross­ings and two trips across the Mediter­ranean, Churchill grows increas­ing­ly frus­trat­ed with Allied plan­ners and sus­pi­cious of Stal­in. When the Big Three meet in Tehran in 1943, the Ger­mans launch Oper­a­tion Longjump, in which com­man­does plan to para­chute into the city. The Kiss of Life, 1943. Return­ing from the Tehran Con­fer­ence, a sick and exhaust­ed Churchill sur­vives a dan­ger­ous ill­ness, Thomp­son keep­ing vig­il at his bed­side. Athens, 1944. 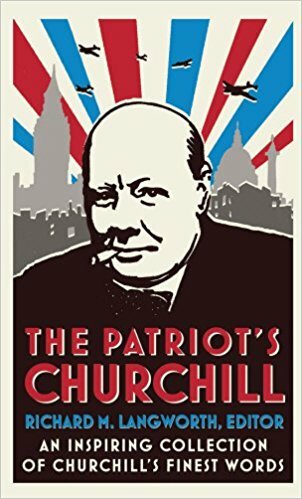 Fly­ing to Greece to fore­stall a civ­il war, Churchill plans to stay at a hotel where com­mu­nist guer­ril­las had placed dyna­mite. He changes quar­ters to HMS Ajax in Piraeus har­bor, while guer­ril­las fire at the ship. Vic­to­ry in Europe, 1945. Churchill and Thomp­son make sev­er­al jour­neys through jubi­lant crowds. Churchill wants to walk among them. Instead Thomp­son pulls him onto the roof of his car, acci­den­tal­ly break­ing a woman’s arm in the process. Neville Bul­lock, Churchill Body­guard, R.I.P. Hav­ing just pur­chased a signed copy of Six­ty Min­utes, I found your com­ment most amus­ing.